Chapter of Organisation of Women in International Trade in Switzerland! Networking with like-minded professionals is at the core of everything we do. All our activities are conducted in an open and friendly atmosphere. We believe in diversity, empowerment, learning, support, and collaboration. Already a member? Log in first (top right corner) to get full member access to the website. Are you looking to expand your professional network and keep your entrepreneurial spirit, and business acumen sharp? Are you keen to contribute to a mission of promoting women's leadership and gender balance in the professional sphere? Is giving back to the community a priority for you and your organization? At different points in our careers most of us have felt the need for a mentor who can challenge our thinking, share their experience and encourage us to reach for the stars. 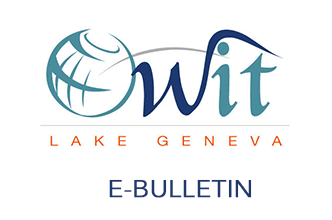 OWIT Lake Geneva offers a brand new mentoring program focused on connecting OWIT members who are looking for advice and insight for their professional development with other OWIT members who want to share their experience and help others grow. Learn more about the OWIT Lake Geneva mentoring program and how it can help enhance your career. OWIT Get Togethers were designed to give members the possibility to improve their visibility by organising their own events on the topic of their choice (in line with the OWIT mission) for their fellow association members. This event format has been successfully running since August 2013. It is open to all OWIT Lake Geneva members who wish to share ideas around a certain topic, hold a workshop or organise a social outing. Read more about OWIT Get Togethers and how you can benefit from holding one. 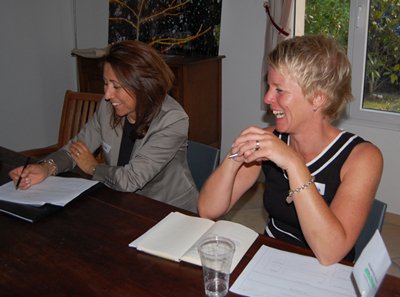 Volunteering with OWIT Lake Geneva provides you with a unique opportunity to develop your strengths, expand your network, gain more experience in a specific field and give back to the community of professional women. If you have the skills or knowledge that could help us provide more value to our members, perhaps through organising events, creating online communities or fostering new professional partnerships - do let us know. Check out the open positions, learn more about what it’s like to volunteer for OWIT Lake Geneva and get involved! 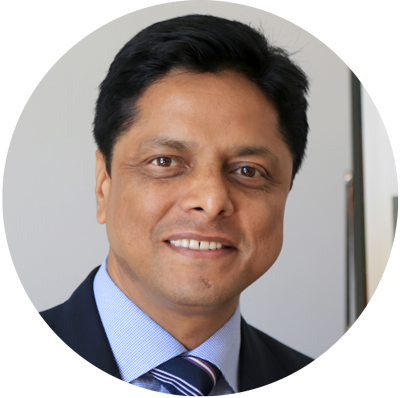 Mr Ratnakar Adhikari has been serving the Executive Secretariat for the EIF at the WTO as its Executive Director since October 2013. Previously, he was the Chief Executive Director of South Asia Watch on Trade, Economics and Environment, a Kathmandu-based regional think-tank. Formerly, he served, among others, as a Senior Adviser to the National Planning Commission, Government of Nepal and as Trade Programme Specialist for UNDP, Asia Pacific Regional Centre in Colombo, Sri Lanka. Mr Adhikari has conducted extensive research as well as published in the areas of international trade, regional economic integration, Aid for Trade, competition policy and intellectual property rights, particularly from the perspective of the Least Developed Countries. He obtained his PhD from the University of Warwick, UK; his Masters of International Law and Economics from the World Trade Institute, Switzerland; and his Masters of Commerce from the University of Delhi, India.